Stopping in today to say HI! I know I have had scheduled posts this last week so you didn't even know I was gone! But I was! 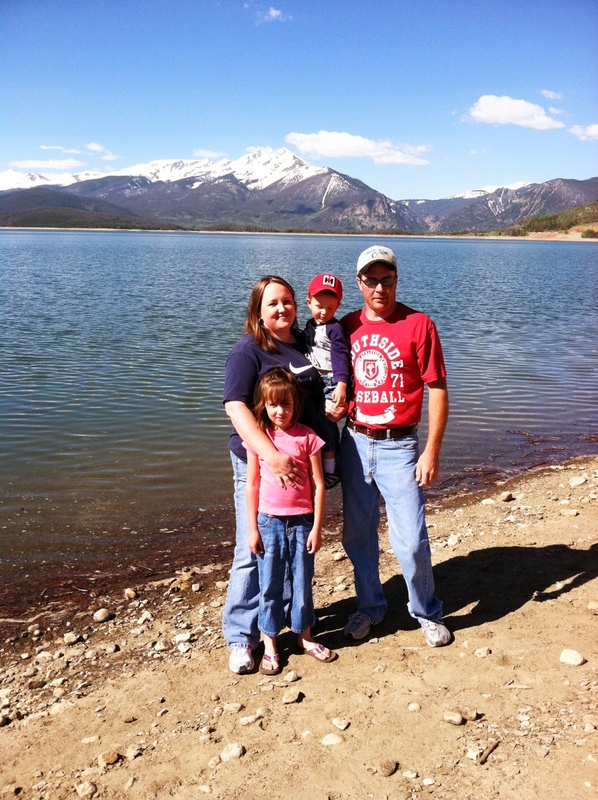 My family and I were in Colorado for the week visiting with my sister! 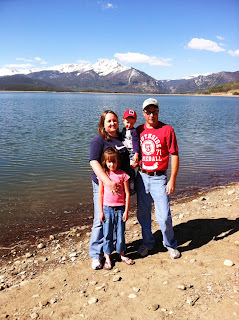 We stayed in Fort Collins for a few days and Keystone for a few days! It was an amazing get away with AMAZING weather! Now I am back in hot Kansas! Not loving the weather here but that's OK! It is good to be home! First off, I have had a couple emails about my Pinterest challenge from awhile back! Sorry I haven't announced a winner before now...I didn't forget about it! Thank you to my little group of players! Several gals emailed asking if I would do another Pinterest challenge so let me know if there are others that are interested and I might have to do another one! I love Pinterest and I find so much inspiration there! I am glad you like it too! So....the winner is #10 Laurel S.! Shoot me an email Laurel at ll_willison@yahoo.com and I will get your prize to you! I stamped Newsprint in True Black, matted that with True black cardstock and then cut the bottom at an angle. I also took a pen and rolled the corners of the white cardstock just for a little worn look! Next, I stamped the stems in Ripe Avocado and the blooms in Pure Poppy! I think it looks so fun layered with the print! I slid in some ribbon, added a loop and the Thank You sentiment from Honey Bees! Quick and simple! Minus the machinery and the trees cut down in the foreground, I love this picture of R! 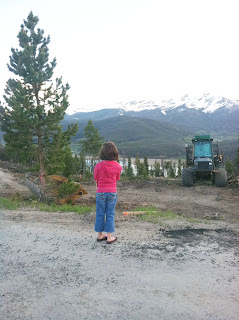 She LOVES the mountains and said several times that she wants to move there! Still trying to talk dh into it! 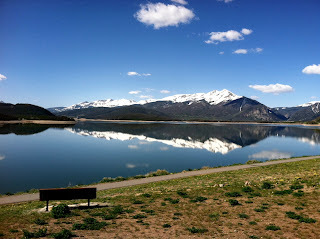 This is all of us at Dillon Reservoir! It was such a fun place for the kids to play! They had a great playground but really all they wanted to do was throw rocks in the water! They had a ball! This is the same lake! It was so still and when I turned around to see this, I had to take a picture! All I have to say here is God is good! WOW! All these pictures were taken with my iPhone! I was so happy to have some great shots while we were there! Well, that is it for today! Thanks so much for coming by today! I hope everyone is having a great Sunday! I absolutely love this card. I NEVER would have thought to stamp the poppies over the newsprint when the newsprint was so boldly stamped, but it looks just stunning. And it is such an interesting look to have that paper on the diagonal. I will be putting this card on my list to make. I love that set too! Is that the anniversary set? Really loving what you did with it! And your pictures are AMAZING! Can't believe that lake was so very still-makes a beautiful mirror. What a view!! So glad you had a fabulous vacation! LOVE the card above!!! Stamping over the newsprint is FABULOUS!!! WOW! So glad you had a great vaca! So glad you're back to share this beauty! WOW Laurie, loooove this one! Oh, wow! This card is stunning! I LOVE the Botanical Silhouettes stamped on the Newsprint background-- fabulous! Well, with two females and their wily charms it should not be long before DH gives in and you can move to this beautiful spot :) Gorgeous card Laurie. Love how you layered the flowers over the newsprint -- stroke of genius. :) And your pictures from your trip are stunning -- especially that last one. God sure did create a beautiful world for us to enjoy! Glad you got to get out as a family and do it! Beautiful card! love those stamps. Thanks for picking my name too! What a fun trip (and beautiful photos) - and absolutely gorgeous card! 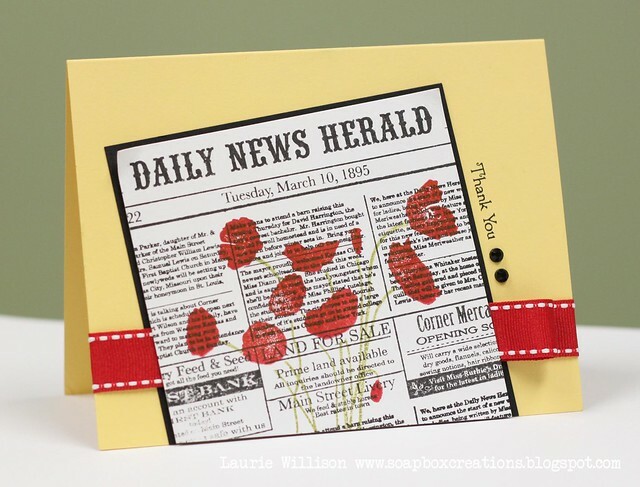 Love how you stamped those vivid red poppies with avocado stems on the newsprint - those colors are so scrumptious together! Welcome back! I love this card - the colors and the layout. So beautiful! Wow, love the photos! Your IPhone takes amazing pictures! Your card is absolutely fantastic!! You always amazing me my friend! Beautiful Laurie! I love the angled newspaper....I need to try that more often. Love your pics! I really love how you combined these two sets! I was in Denver last week, but only for three days (on business at that). Love this! The set looks so cute stamped on the newsprint and angled! The turned up corner is a great detail and the sentiment stapmed at the side is perfect and unique! and the view looks spectacular! how could such perfect beauty just "be"? Awesome card! I LOVE the flowers stamped over the newsprint! Between you and Nichole I'm thinking I really NEED that newsprint stamp!! HA! 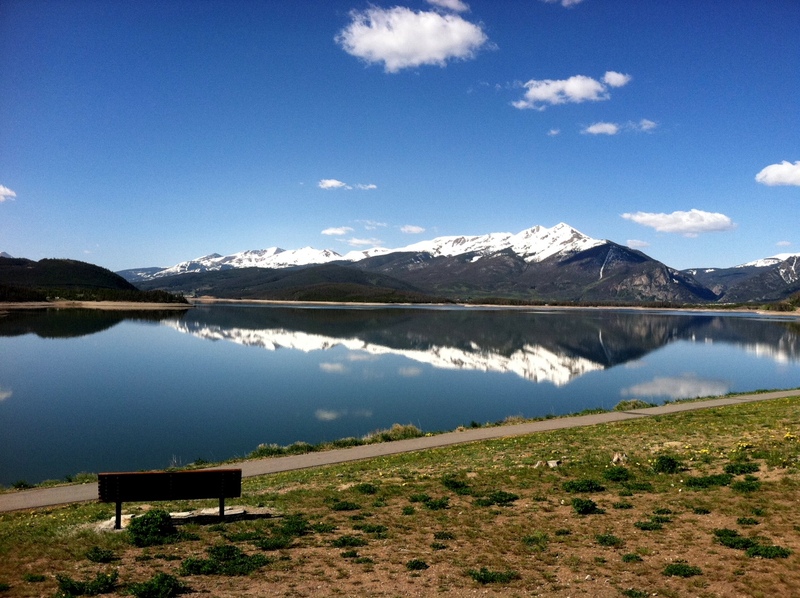 Gorgeous photos from Colorado! I agree with R----you guys should definitely move here!!! Next time you visit you should try to build in a stamping day and a bunch of us CO stampers can meet up!!! It would be so great to meet you in person!! Super beautiful card! Glad you enjoyed the time here in Colorado. Now THAT is a cool card! What a neat layout, and to combine the flowers in front of the newsprint, and of course the bold colors! I'm just in awe :) I just ordered the newsprint set and now I can't wait until it gets here so I can use it!